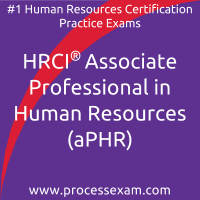 Are you looking to achieve HRCI certification and become a certified professional? We have good news for you; we have a solution, which can help you clear the HRCI certification. We are here to assist you in achieving your goal by using our online certification practice exam platform. With tons of experience in the field of Human Resource Management, our team of expert has designed these practice exams which simulate actual HRCI certification exam environment. 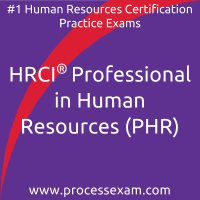 We recommend you to use our online HRCI certification practice exams for your test preparation. These practice exams will help you to validate your knowledge and identify the areas which need improvement, it will make you familiar with HRCI certification exam pattern and question format. The HRCI certification enhances your skills and knowledge by exposing you to real-time business scenarios and case studies. The most important value HRCI certification adds to your career is the endorsement from the HRCI that says you know what you are doing. With so many questions to prepare for PHR certification exam, i became very confident to give the actual test and i received good score. his website was extremely useful for HRCI HR Senior Professional exam. Once I enrolled for the mock exams, I was able to understand my weak areas and had prepared accordingly. The mock exam structure was similar to the original exam and gave me confidence day by day for appearing the real exam. Thanks, team. 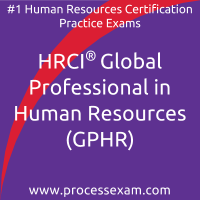 I cleared HRCI GPHR certification without much tensions or hurdles. I had choose this site for ample practice. The mock test and personalized features helped me throughout. When it comes to preparation, i trust nothing but the experts. While preparing for Associate Professional in Human Resources (aPHR) exam, i subscribed for paid online practice tests as they are precisely designed for professional preparation. This is a life that i always thought of. After being hrci certified through practising on premium question bank online, my life changed drastically. I happy with my result for HRCI Professional in Human Resources Certification last week and today, i feel that i am on top of the world. This is truly appreciated. Aced the PHR exam finally!